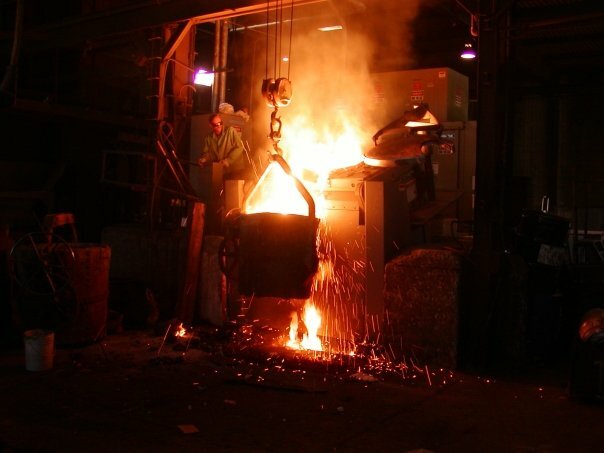 Founded in 1912, May Foundry continues to provide quality products and services to our customers. The services we can provide include new equipment, replacement parts, repair, and reconditioning of worn out equipment. We can duplicate or provide reverse engineering services from existing OEM or one of-a-kind parts including 3D solid modeling, CAD drawings, and traditional drafting services. We also offer full pattern services by utilizing our preferred pattern making partners in economical woods, hard wood, plastic and high density foam products to suit your budget and production quantities. Duplication of the original alloy type is not an issue using our spectrograph to obtain a full chemistry composition. Non-Destructive Examination of castings utilizing magnetic particle, liquid penetrant, and ultrasonic testing can be performed and certified utilizing ASNT trained professionals. Bottom line: we can produce economical castings, fully certified x-rayed castings, and the entire range in between. We pride ourselves on being nimble and responding to customers’ needs, whatever they may be. Let us propose a solution for your casting needs. Through our relationships with several OEM's, we can supply new components for many pieces of equipment and systems. We would be happy to examine your process requirements to help determine the proper equipment for your application. Through our extensive resource base of industry professionals, we might shed a different light on your needs or provide other services to enhance your position. If you want to upgrade your equipment, help improve its operation, or determine problems and solutions, we may be able to assist you. Just call us, or use our contact form to send us the information for review. Decrease scrap through analysis of casting geometry, materials, solidification and filling characteristics. Detect defects resulting from poor geometry, materials, and casting engineering that are often difficult to pinpoint on a solidified casting. Shed a crucial viewpoint to key instants in the pouring, filling, and solidification of the casting. Eliminate the need to “try and see.” this process can be costly and timely- effectively decreasing May Foundry’s lead time and response time to new customers. Stearns-Roger emerged as a leader in Engineering, Equipment Design, Manufacturing, and Construction services for many industries. In 2001 Washington Group/Stearns Roger closed down the manufacturing side of the business and sold off the assets, which included the process equipment activities. May Foundry & Machine has the capabilities to design and supply new equipment and replacement parts at your plants for existing equipment from Stearns-Roger, United Engineers & Constructors, Raytheon Engineers and Constructors, and Washington Group International. We can assist with much of the process system design and engineering, as well. "May Foundry is a value added foundry in the sense that everything can be done in one location, under one roof. 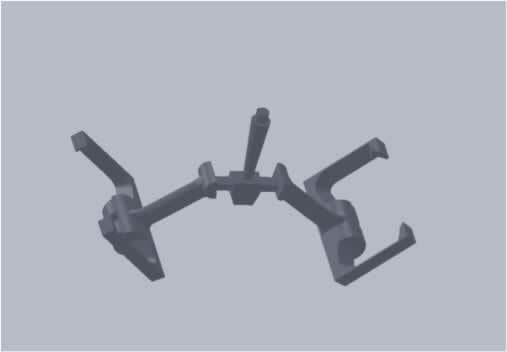 They can supply the patterns, castings, machining, heat treating, painting, assembly, etc." "Our company has been using May Foundry & Machine for 40 years now. The best thing about them is their expertise in the type of castings we require. We also like the fact that May Foundry & Machine has a machine shop and a heat treating facility, so that we can get everything we need from one supplier." © 2010 May Foundry & Machine Co.